I’m always searching for delicious recipes to try with my family. I love casserole recipes because they are usually packed with everything you need for a complete meal like meat, vegetables, and of course cheese…lots of cheese! 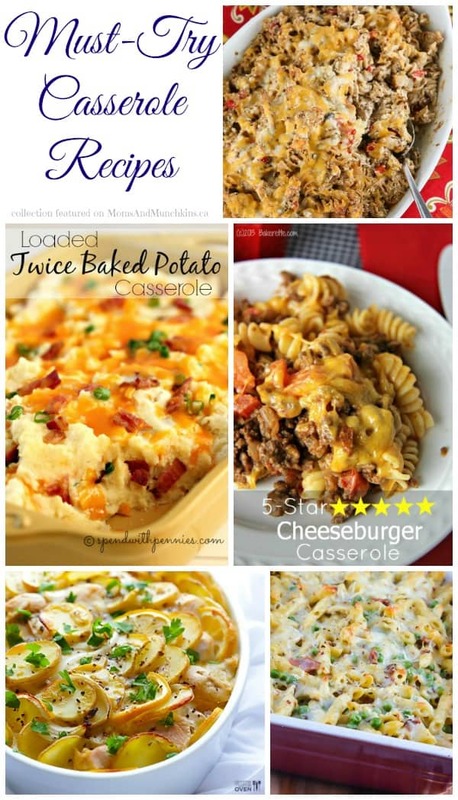 This is a collection of casserole recipes from talented bloggers. To view the full recipe for each, simply click on the title of each recipe. Get ready to do some bookmarking because I know you’ll want to make note of each of these recipes so you can try them one day soon. If there is one thing better than a cheesy casserole dish it’s one with three cheeses! 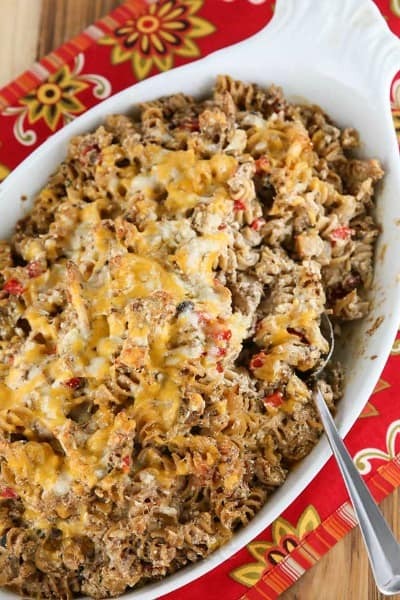 This Tripe Cheese Chicken Pasta Bake (pictured above) by Jeanette’s Healthy Living is making my tummy growl! 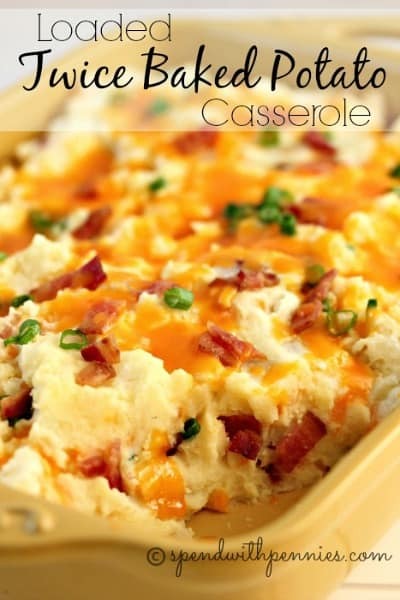 I love baked potatoes but I had never thought about them as a casserole dish until I saw this delicious Loaded Twice Baked Potato Casserole by Spend With Pennies. I’m saving this one for a cold & rainy day! Anything with “ranch” in the title is usually a hit around our house. 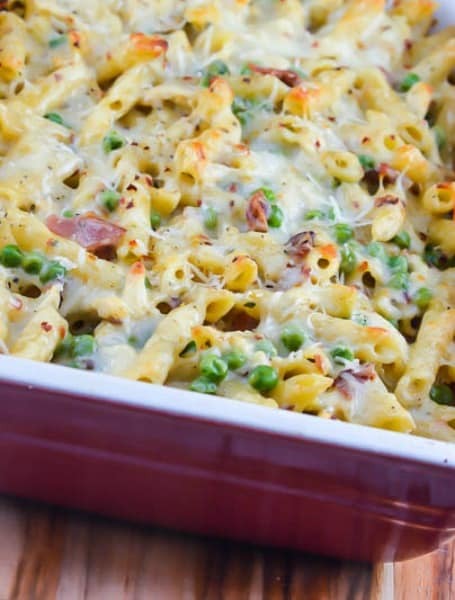 This Cheesy Chicken Bacon Ranch Pasta by Flavor Mosaic is packed full of delicious ingredients. 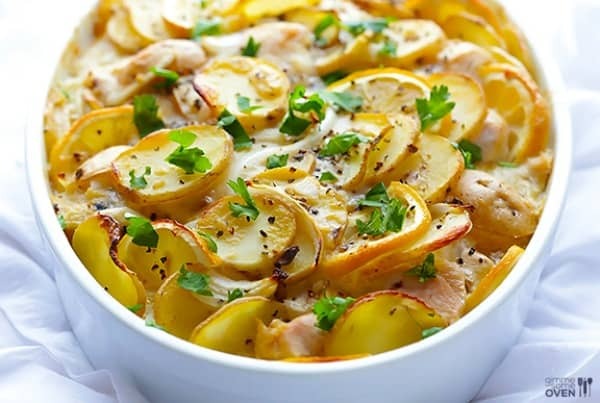 This Lemon Chicken Potato Casserole by Gimmie Some Oven looks way too delicious to be an easy recipe. This is an old family recipe of hers and family recipes are always the best! What could be better than a delicious cheeseburger? 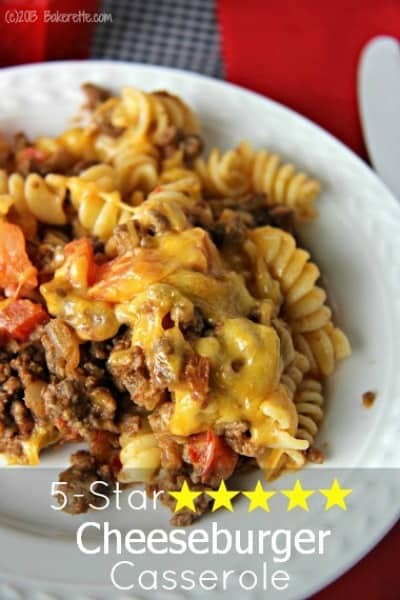 A 5-Star Cheeseburger Casserole! This recipe by Bakerette would be perfect on a rainy day when you’re not able to get outside for a BBQ but are still craving a delicious cheeseburger. For more delicious family meal ideas, visit our Party Food & Family Meals page. We’re always adding new ideas. Stay updated on the latest & tastiest post by following on Facebook, Twitter, Pinterest, Google + and Bloglovin’.